Voted "BEST HOMEBUILDER" Sacramento Magazine - 2018 Named as a Top 5 builder in Sacramento, Homebuilder Digest - 2019 Named as a "Top 15 General Contractor in Sacramento" by GC Magazine 2018. Building custom homes in the Sacramento, El Dorado & South Placer county areas for 3 generations. Houzz Special Offer-25% OFF All Faucets! Building Savvy Magazine - March 2018 (Cover and feature article) Sacramento Design-Build Firm | LEED AP Best of Houzz 2014, 2015 and 2016 Sacramento Magazine May 2016 Historic Preservation Home Tour 2016 SacBee 2016 Sacramento Magazine October 2014 Urban Renaissance Home Tour 2014, 2015 and Fall of 2016 Sactown Magazine 2014 CREATIVE EYE DESIGN + BUILD, proudly operating mainly on a referral basis, provides our customers with excellence of quality design and construction services, project management and workmanship. Our team of professionals are carefully chosen in order to assure a high standard of service. We utilize a team approach that encourages the participation of the contractor, owner and architect. This synergistic approach results in better communication and creates a smoother design, building and remodeling process that relates to success in our projects. We give our customers the trust they deserve, along with the personalized attention that can make construction a pleasant experience. 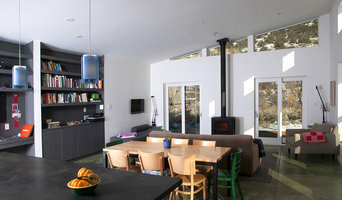 A design & building firm that specializes in high performance, "green", buildings. We design and build extremely energy efficient homes that are masterfully crafted. Sustainable from conception to completion. We believe that buildings should respond to their specific place, engage their inhabitants, and be inherent partners with the environment. Our designs develop out of a deep consideration for a landscape’s context, the pragmatic solutions of vernacular architecture, and the possibilities of modern technologies. We seek to manifest these concepts in our buildings, in a thoughtful, efficient, and beautifully crafted manner. Contact us for your next project. Pete Lugo has been designing since the early nineties. While his work continues to evolve, he is always directed by an effort to design homes that are site responsive, contextually appropriate, energy efficient, while maintaining a modern aesthetic. After receiving a Bachelor of Architecture from the Woodbury University School of Architecture in 1991, Pete worked in the offices of both Butler+Forbes+Jubany and the notable office of Angilil + Graham Architects in Los Angeles where he gained experience in residential and commercial design. In 1998 Pete opened PL:rd and has since focused on modern residential design. Pete is a resident of the Sacramento Region. He is very involved in the local community and is a ride lead for the Limitless Cycling Development Team as well as a coach and mentor to local youth. Pete is married, has three children and spends a great deal of time actively engaged in their lives. The family enjoys playing soccer, camping, snow boarding, cycling, and traveling together. Residential design is our passion because of its power to improve the quality of a family’s everyday life. Whether working on a new home, addition, or bath remodel, we always strive to balance beautiful & eco-conscious design ideas with a cost-effective construction process. C3 Builders Group specializes in whole house design and remodel with special attention to kitchens and bathrooms. The team delivers on its commitment to client centered service and is driven to create captivating spaces that capture the essence of the client's dreams. *Authorized Wellborn Cabinetry Dealer* Since 2006, K Squared Construction has been serving the greater Sacramento area with full-service interior design and residential contracting services. Our expert team specializes in full-service kitchen and bathroom remodeling to complete additions and renovation. Our dedicated team is comprised of experienced, reliable craftsmen, design team ensuring that your projects are completed on time, with high-quality products, and just the way you imagined. Featured on HGTV and DIY network shows including Kitchen Crashers, House Crashers, Yard Crashers and America's Most Desperate Kitchens. INDIE CAPITAL is a purposeful residential infill development company. Industriously serving homeowners and would-be homeowners within Sacramento's historic Downtown neighborhoods, our standards are exhaustingly high. We represent and stand by only the finest homes to ensure limitless value to our clients. To enrich life by connecting people to functional, efficient and beautiful homes; this philosophy is at the heart of our business. New Home Design Build and residential remodeling contractor with an emphasis on green building principals and practices. Specializing in designing and building turn key residential remodels and custom homes, and Commercial new construction and TI. Certified Green Building Professional, and LEED AP BD&C, LEED AP for Homes. Husband and wife team design and/or build residential additions, custom cabinets, furniture, bath and kitchen remodels and treehouses. California licensed general contractors. Artisan Remodeling, Inc. has proudly provided award-winning design & remodeling services in the entire Sacramento area for over twenty-four years. Testaments to our quality product and service are our twelve NARI project awards as well as our 60%-plus return / referral rate! Our work has been featured in many local and national publications and the owner has been consulted for articles in Consumer Reports, Qualified Remodeler, HGTV Remodels, and others. J.I.L. Design Group is a design-build firm that has been in business since 1989. We’ve been redesigning residential homes in the Sacramento region for over 25 years – everything from professional grade kitchens to luxurious bathrooms. Our company has the expertise to design a room that fits your every need. At J.I.L. we deliver solutions for all your designing, building, and remodeling needs. Our professional staff and construction crew work together to ensure a beautiful remodel. Projects are done efficiently by paying attention to budgets and timelines while maintaining both quality and craftsmanship. As a licensed general contractor, our project management team has the capability to implement the design. We follow through a remodel from conception to construction to completion. Design-build firms take on the responsibilities of architects, contractors and construction companies, all under one roof. These full-service firms focus on a streamlined design-build process — from the initial design to the estimating phase to physical construction — in the hope of creating an efficient experience for both the client and the company. Because the entire project is happening within one company, El Dorado Hills design-build firms are able to overlap the design and construction phases of the project, which often speeds up the project significantly. In addition, these firms work to minimize risks for the project owner through single-point responsibility contracts. However, depending on the firm, you may still want to contact an interior designer or architect to help create the exact look you want. Here are some related professionals and vendors to complement the work of design-build firms: Interior Designers & Decorators, Landscape Architects & Landscape Designers, Architects & Building Designers, Photographers. Before deciding on a residential design-and-build company in El Dorado Hills, CA, think about what you want from your new home. Do you want a large kitchen for entertaining? Do you need several bedrooms for children and guests? Do you want a finished basement for extra space or storage? 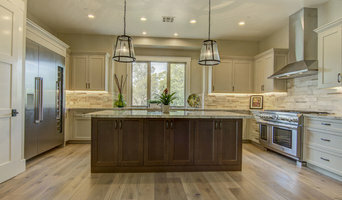 Look for El Dorado Hills design-builders that specialize in the areas you're looking for. Budget is obviously a determining factor in the outcome of your project. To make sure you stay within your means, consider making a must-have list and a wish list. Gauge where the estimates are falling to determine which design-build contract can realistically strike the balance between the two. Find an El Dorado Hills design-build company on Houzz. Narrow your search in the Professionals section of the website to design-build firms in El Dorado Hills, CA. You may also look through El Dorado Hills, CA photos to find a pool you like, then contact the design-build firm that created it.